One couldn’t be faulted for thinking Archspire would peak after 2014’s The Lucid Collective. The band’s sophomore album was nothing short of a tech death masterpiece. Taking the staccato style of riffing they introduced in their debut and honing it to razor sharp precision, it seemed like the record can’t be topped. The band’s style is quite singular, and it didn’t seem like there was much room for further improvement. As such, expecting something like a TLC 2.0 from their next release would have been pretty reasonable. Of course, Archspire have thrown the listeners a curve ball and found a way to progress regardless of expectations. Relentless Mutation is a lot more clever and creative of an album than anything they’ve done before, while staying surprisingly true to the formula previously established. And it’s also pretty great. First, to describe how Archspire have evolved, we must discuss what the core aspects of their sound are. Speed, but controlled bursts of it. Technical death metal is a genre that thrives on blazing fast guitar work, but Archspire often feel driven as much by how they stop as by how they go. This is partially attributable to drummer Spencer Prewett’s unique style of playing, which is incredibly powerful, percussive and frenzied. He will play unmatched blasts of speed followed by by well-accented stops that are always surprising. That, combined with a heavy reliance on diminished scales was basically the bedrock of the Archspire sound for two albums. The debut introduced it, and the sophomore perfected it. Where else can the band go? Well, it’s actually rather simple, they can just add new elements to their sound. Previously, they were just ominous and aggressive, but now they also sound weird, alien, and progressive. It’s a surprisingly simple change, by adding a few more scales (whole tone and harmonic minor, mostly) and taking a very slightly more progressive approach, they have a wholly (heh) new take on a very familiar sound. The Lucid Collective hinted at elements like this, but never fully committed. Now, by making this a big part of their sound, it feels like the band have almost “leveled up”. The more progressive writing is not just a scale change, but more a slightly more creative approach to the overall process. The general Archspire formula usually involves having a few riffs that are repeated throughout the song, and other intense, fast parts or weird interludes that are sprinkled within. While this formula isn’t changed too much (except for the final song on the album, which is a lot more experimental), the riffs themselves feel more complex. If Archspire could have been faulted for anything, it was that some of their riffs were quite simplistic patterns played really fast. On Relentless Mutation, they’ve clearly made an effort to up their game, and it shows. There’s also one last very minor change that makes a big difference – the guitar tone. The production on the album is surprisingly similar to its predecessor. The band’s sound is heavily intermingled with the production, this was the case then and it still is. The raw snare tone, the choppy but expressive guitars, the mildly audible bass and the dry vocal sound all come together to define the band’s very snappy aesthetic. Here, everything is improved subtly, but the guitar tone is what makes the big difference. The guitars are meatier, crunchier and overall heavier. This makes the fast, choked style of stop-go that the band employ sound much thicker. The punches hit harder and everything else is just smoother. They’ve made a clever decision here, and it works. 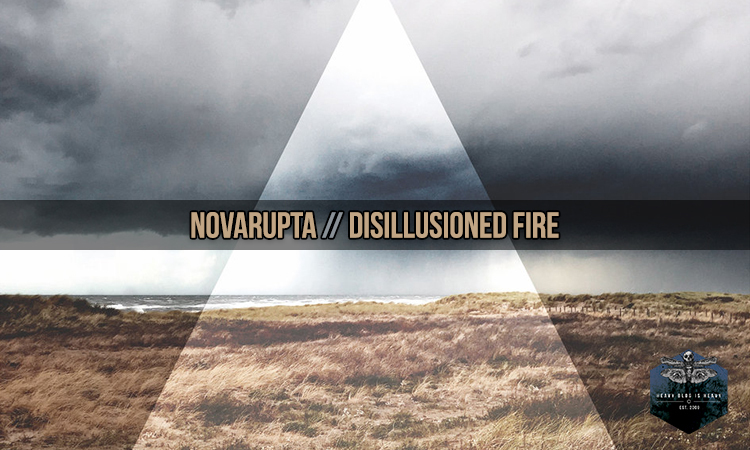 In the end, Relentless Mutation shows a band with a perfect sound somehow evolving and becoming even more perfect. By taking most of what worked on The Lucid Collective, adding new flavors to it and just doing it plain old better, Archspire have topped themselves in a way that’s seemingly impossible. Yet, Relentless Mutation doesn’t invalidate its predecessor. They’re different takes on the same very specific formula. And that’s all one could ask for, really. 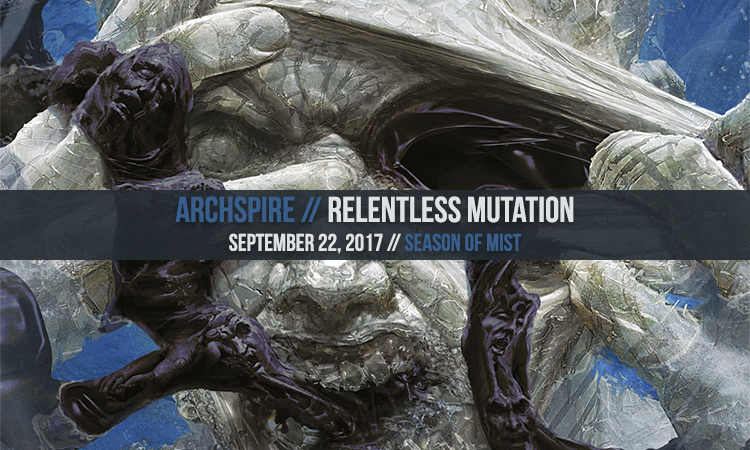 Relentless Mutation is available 9/22 via Season of Mist.